Subject:- Extension in the tenure of the National Anomaly Committee. The undersigned is directed to refer to para 5 of this Department's O.M. of even number dated the 12th January, 2009 regarding setting up of Anomaly Committee to settle the anomalies arising out of the implementation of the Sixth Central Pay Commission's recommendations and to state that it has been decided with the approval of the competent authority to extend the tenure of the National Anomaly Committee up to 31st March, 2011. It is yet another betrayal to C.G. employees and to delay of resolve the grievance further. It is unwelcome. It is just the beginning. The committee will be given extensions and extensions like numerous other committees appointed by the Government which at a later stage exist on papers only without any business or relevance. Till next CPC this type of committees will be given exten. They do nothing but enjoy employment and with a high status to cheat the C G Employees. They never bother about the staff and never do the justice. What happened to the case of increment which falls in between 2nd January to June, 2006? Is the anomaly committee which comprises of creamy brains is pretend to be not understood the problem well and calling for discussion again and again on the same issue? And what are various confederations and other associations doing on this biggest anomaly for its solution? No faith in any system!... Even God cannot save our country as VI CPC in toto is an anomaly. anamoly committee does nothing.govt.should not extend the period of this committee. It is very injustice for central Govt employee low paid employees especially clerical cadre to extend the tenure of the National Anomaly Committee up to 31st March, 2011. As the clerical cadre is the most sufferer in the 6th CPC. Is any GOI order has been issued in r/o increment in the pre-revised scales falls between February and June, as it is learnt that, the anamoly committee has cleared this anamoly and instructed DOPT to issue necessary orders? We are in need to inform you that before implementation of 6cpc Rs. 4500-125-7000/- was considered as C grade. 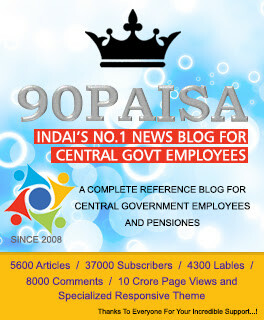 It will be inconsistent and ambiguous if we cite qualifications required for the C grade employees under general and non-general / technical category.Essential qualification required for the C grade employees under general category is School Final/Madhyamik whereas essential qualification required for the C grade employees under non-general / technical category is graduation along with technical/professional qualifications and experiences in the respective field.To keep off this anomaly and to keep up the transparency and equivalence in the scale of pay, different ministries and universities have upgraded the scale of pay Rs. 4500-125-7000/- (pre-revised) to the scale of pay Rs 5000-150-8000/- (pre-revised) or Rs.5500-175-9000/-(pre-revised) to place these scales of pay in the Pay Band 2. Kindly review our appeal and provide justice in implementig uniform scale of pay among us with effect from January 2006. LDC/UDC is most sufferer category in the implementation of 6CPC. Keeping in view of the nature of the work of LDC/UDC like documentation, recording, typing and knowledge of computer operating, the Grade Pay should be increased 2400 for LDC and 2800 for UDC. This anomaly is creating a discouraging environment in the category. The Committee will look after this anomaly and remove it so that the category motivate to positive work attitude. Yes,a person who has joined as LDC is the biggest sufferer under MACP scheme. I joined as LDC and subsequently cleared SAS exams and became an Asstt.Accts.Officer. Since I got promoted as Jr.Acctt. and Sr.Acctt.before my promotion as AAO I have been denied the grade pay of Rs.5400/- while all other AAOs who had joined as Accountants and also those Sr.Accts. who have completed 30years of service are drawing grade pay of 5400/- and also TA of Rs.3200/- Hope this disparity will be cleared.